Carrollton - Farmers Branch ISD is a School District based in Carrollton, TX. Read reviews for CFBISD, and search all homes for sale near the school below. 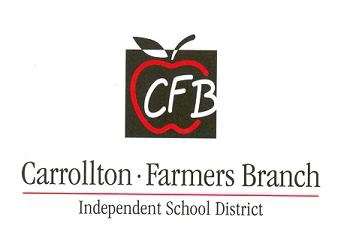 For more information about CFBISD, school calendars, curriculum, admission & school administration information, please contact the Carrollton - Farmers Branch ISD directly. The Carrollton-Farmers Branch Independent School District, which serves more than 26,000 students from the areas of Carrollton, Farmers Branch, Addison, Coppell, Dallas and Irving, includes an impressive 26 elementary schools, six middle schools, five high schools and four special learning centers. The Carrollton-Farmers Branch area of Dallas is swiftly growing, thereby spurring many home buyers to search for Carrollton-Farmers Branch ISD homes for sale and Carrollton-Farmers Branch homes for lease. VIP Realty, our qualified team of realtors, and our comprehensive website, can guide you in the right direction when searching for the perfect Carrollton-Farmers Branch ISD homes for sale and Carrollton-Farmers Branch homes for lease. H & Y Real Estate, LLC. Want to purchase a home in Carrollton Farmers Branch ISD? Call your Carrollton real estate team, VIP Realty at 214-295-4888. Your neighborhood Carrollton REALTORS® and agents are here to help with the Dallas housing market.